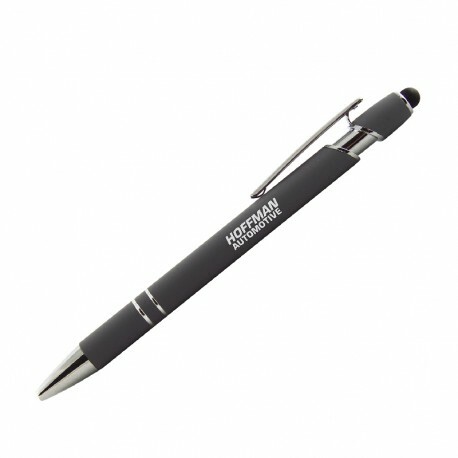 Combine comfort and style into one promotional package with the Rubber Grip Bold Color Click Pen. This lightweight aluminum ballpoint pen is wrapped in ergonomic rubber grip, available in multiple colors. Chrome accent rings, tip, and click shaft enhance to visual appeal, while a soft black stylus graces the end. 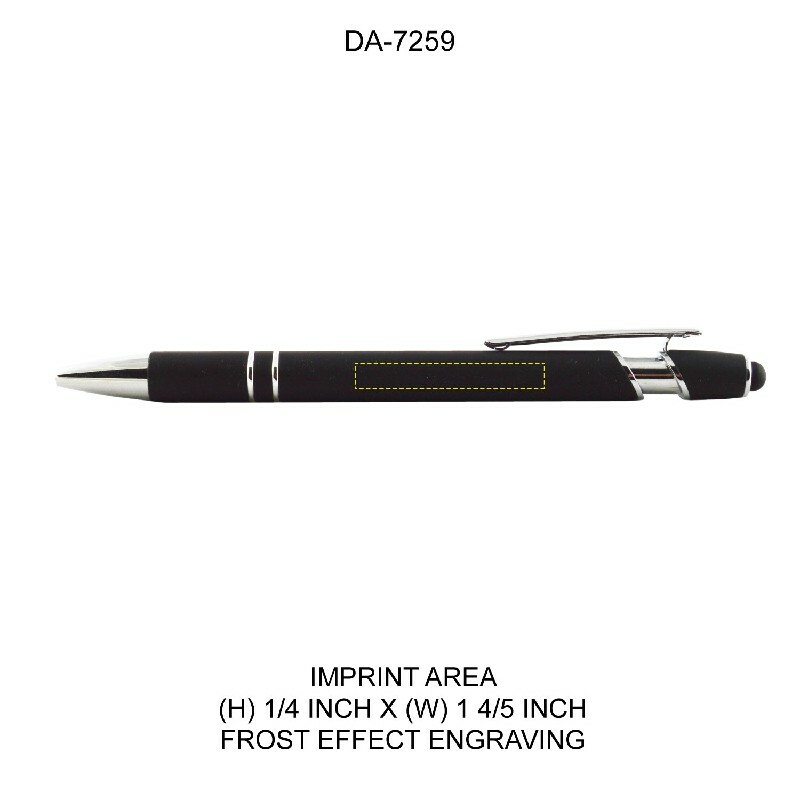 Your custom-engraved brand and logo will shine from the center of the pen barrel. This richly colored ballpoint pen has a comfortable rubber grip with bright chrome accents.